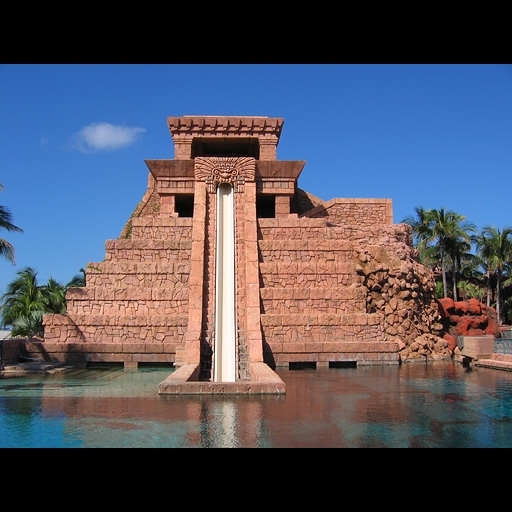 Waterslide at Atlantis Resort created from Stromberg GFRC. When you think of construction materials, the words that most often come to mind are “strong,” “stable,” “supportive,” and “tough.” Adaptable may seem like a strange word to connect with a construction material but with GFRC, an alternative type of building material for structures and architectural products, it is one of its primary benefits in addition to its toughness and strength. The word adaptable refers to something that has the ability to be easily changed into other things. The term is often used in relation to adapting a book to a movie or adapting an animal or plant to a different type of environment. It is a word that is also often used with the concept of evolution in which species adapt in order to survive. GFRC was also developed to withstand different types of environments and conditions related to things like weather, water, fire and earthquakes. Also, as the ingredients used in traditional materials is not necessarily sustainable, the building industry had to develop something that would not require as many natural resources so that it could be accessible for more buildings in the future. • GFRC can be sprayed or poured. • It can be put into all types of molds for a large array of architectural products. • GFRC can be used in almost any type of shape, including rocks for pools and landscape to ornamental details and complex patterns. • It can be used to create products of all sizes, including massive columns to finials to countertops. • GFRC can take on any type of environment and stand up to it, including water, fire, seismic loads and hurricane winds. Having been involved in developing GFRC for numerous applications, Stromberg Architectural has an extensive portfolio of successful projects from around the world that illustrate just how adaptable GFRC can be, including all types of buildings, indoor and outdoor architectural products, and custom projects. These examples have also involved everything from underwater environments to structures that have survived category 5 hurricanes to those products and structures that have survived floods, fires, and earthquakes while those built with non-adaptive, traditional concrete have been destroyed. Stromberg Architectural leads the way in the development and use of GFRC. To learn more about why GFRC is adaptable enough to take on your construction, remodeling, or restoration project, contact us now for more information or a free estimate. Please fill in our online contact form or call our experienced team at 903-454-0904.